Application Due Date: November 3, 2018. World Youth Alliance (WYA) Africa opens the 2018 look for an enthusiastic, dedicated, and devoted World Youth Alliance member from Africa who will represent the area in the 2nd or 3rd batch of the WYA International Internship Program(May– July or September-December 2019) in New York City City, U.S.A.. 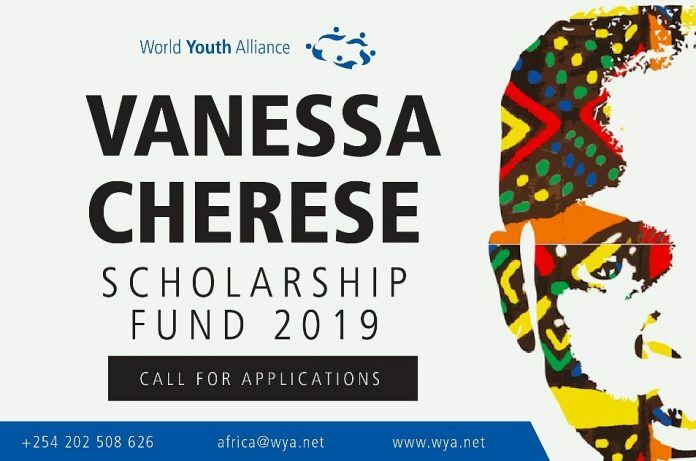 Effective conclusion of WYA’s Qualified Training Program and Regional Internship Program in the WYA Africa local workplace are requirements to make an application for the search. • Roundtrip economy class flight tickets from Nairobi, Kenya to New York City, U.S.A. The picked WYA member is accountable for the costs associated with the visa application and regional transport from his/her present area to Nairobi. Dedication to serve the area as a member of the National Committee of their nation after their return from the International Internship. Candidates must send their finished application requirements to education@wya.net with the topic 2019 WYAAVCSF_LastName on or prior to November 3, 2018.